stone | What? Why Bother? 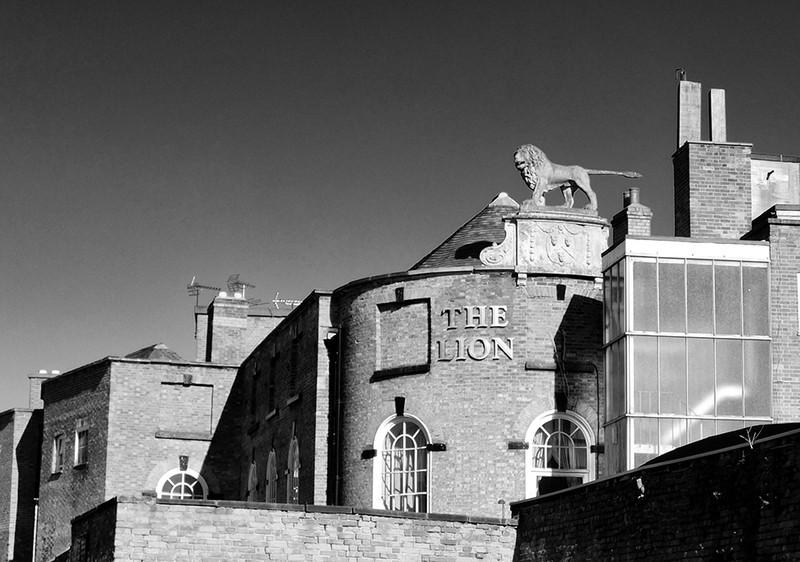 There’s often lots of interesting things going on at the back of buildings. I visited my friend at her new reflexology job, and her window gave a unique perspective on the lion on the top of the Lion Hotel’s ballroom from 3 floors up. If you go down the back of the hotel with a zoom lens, you can get this view. 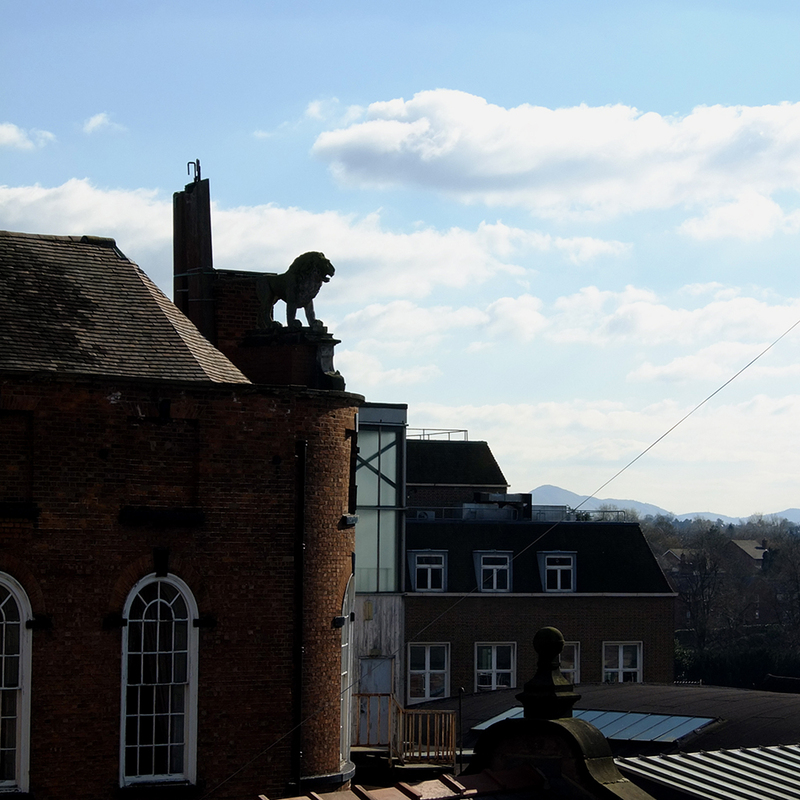 It’s slightly mad that a stone lion is up there on the roof where hardly anyone is going to see him.